In the West, Level-5 is perhaps best known for the Professor Layton puzzle games. In Japan, the Fukuoka-based game company is also famous for its Inazuma Eleven soccer games. Those games are at the center of a lawsuit. According to Yomiuri Online, Sega is suing Level-5 for patent infringement in the Inazuma Eleven Nintendo DS games—namely the in-game mechanic that allows players to move characters via their finger or touch pen. The Yomiuri piece does not go into further detail about Sega's patents or how they differ in the touch controls Nintendo has used in DS games. Inazuma Eleven is a soccer role-playing game as well as a popular anime. Sega publishes a series of soccer management sims called Football Manager. It's not yet known whether or not Football Manager factors into this suit. 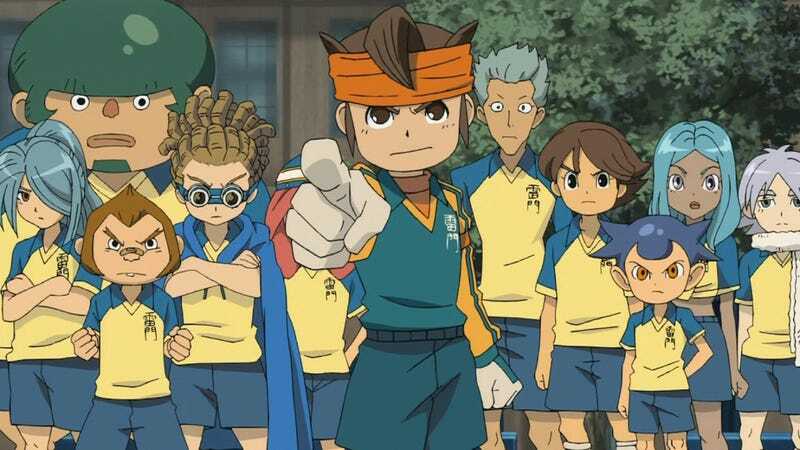 Sega is calling for the sale of all eight Inazuma Eleven games to be stopped, plus ¥900 million (US$11 mil) in damages. Opening arguments were heard on December 7. Level-5 will fight this suit and said, "We are preparing our rebuttal and do not have any comments to make at this time."